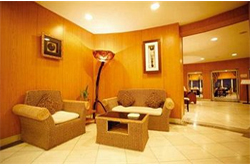 Niassa hotels, accommodation and places to stay. Guide to where to visit and where to stay in Niassa Mozambique. Information on Niassa Mozambique, location of hotels, lodges, camp sites, guest houses, bed and breakfasts and places to stay in the Niassa area of Mozambique. Distances from major attractions to Niassa and information about shops, fuel and facilities. The far north west of Mozambique is the most remote, bordering with Lake Malawi on the west, also known as Lake Niassa, and Tanzania in the north. The Niassa Wilderness Reserve has the highest wildlife populations in Mozambique. There are regular flights to Lichinga from other areas of Mozambique, or the more adventurous can take the ferry across the lake from Malawi. A hidden hand-built lodge on the dazzling Mozambique shores of Lake Niassa. A rare chance to savour an unspoilt corner of real Africa. Explore on foot, by canoe, in sailing dhows. Laze in a hammock above a secluded cove. See for yourself how responsible tourism supports local people and their timeless surroundings. Sugar-white ''squeaking' sands, washed by clear fresh water teeming with tropical fish. Nkwichi. The ideal romantic interlude. The perfect match for an African safari. 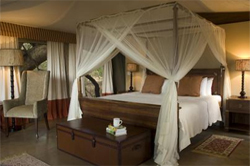 Lugenda Wilderness Camp offers the ultimate pioneering safari amidst an Africa still wild and untrammeled. Lugenda Camp is nestled along the eastern bank of the Lugenda River, this elegant and intimate camp accommodates just 16 people in luxurious east-African styled tents - welcome to the Lugenda experience..
Lugenda is a seasonal camp and is operational April/May to November/December each year. Lake Niassa is the Mozambican name for the well known Lake Malawi. This massive lake has been described locally as the "calendar lake" since it is 365km long. Over 250 species of fish have been identified in the lake and there are beautiful beaches round the lake and although the Malawi side has been developed for tourism and attracts large numbers of backpackers and overland travelers, the Mozambican side is currently the domain of luxury lodges and the most adventurous travelers with few tourist developments to spoil the wilderness feel. There is a weekly ferry between Mozambique and Malawi via Likomo Island. You can hire boats to go between Metangula, the main town on the shores of Lake Niassa, and other villages up and down Lake Niassa, or transfers can be arranged for guests at the highly recommended lodge about 15km south of Cóobuè in the privately owned and run Manda Wilderness Reserve. If you are arriving of departing from anywhere other than Lake Malawi your best option is to fly to or from Lichinga, or Cóbuè. Access to the lake and lodges is easier from Cóbuè, but the main airport serving the Niassa Province is at Lichinga. The Manda Wilderness Reserve is a privately owned and run project with its focus on promoting nature conservation and sustainable community development. It is a beautiful and tranquil wilderness area with diverse flora & fauna and excellent bird life. 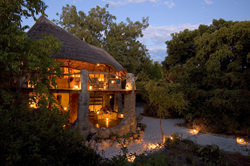 It is possible to arrange sailing, canoeing and walking safaris in the reserve. The project also runs a luxury lodge so you can enjoy the African wilderness at its very best without having to compromise on comfort. The Niassa Reserve is a vast area of wilderness bordering with Tanzania about 160km northeast of Lichinga. The reserve is 42,000 km2 making it the largest in Southern Africa at the time of writing and one of the largest in the world. The Niassa Reserve supports the largest wildlife populations in Mozambique and is particularly well known for its elephants and buffaloes. Access is generally by private charter plane to the exclusive hunting lodges as there are few roads. Lichinga is the capital of the Niassa province which covers this remote and unspoilt north western corner of Mozambique. There are regular flights to and from Maputo, Tete, Nampula, Beira and Quelimane. The main road connecting Lichinga to the rest of Mozambique is currently in poor condition although there are plans to build a new sealed road through to Pemba on the east coast linking to the main roads north and south. There is little to keep tourists in Lichinga, it is well off the main tourist circuit, but it serves as a good link to Lake Niassa to the west and the Niassa Reserve to the north.